These days, Nintendo employees like Shigeru Miyamoto and Takashi Tezuka are well known with gamers, but back in the days before the internet came along and enriched/ruined everything, these individuals were largely mysterious to the average player. 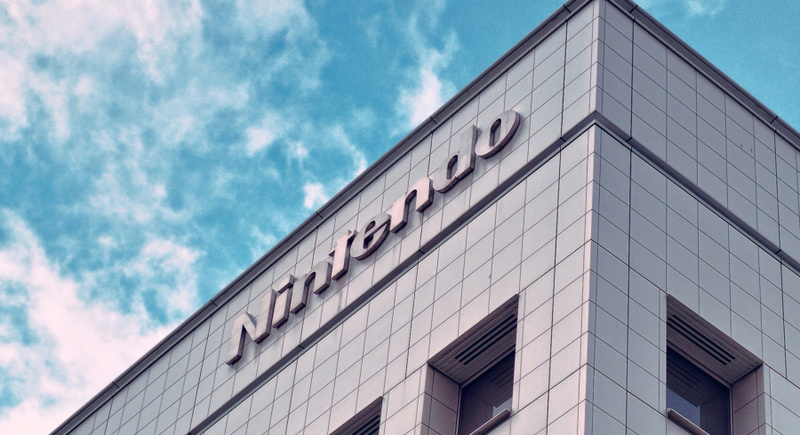 That's what makes this 1990 visit to Nintendo's Kyoto HQ so interesting. Filmed by the BBC's Money programme, the short clip shows how levels were created in Super Mario Bros. 3 and features a fresh-faced Miyamoto, who talks about how enjoyable it is to work for the Japanese company. These days, Miyamoto's stature in the industry has grown even more, making him one of the most famous gaming celebrities on the face of the planet. Nintendo no longer owns 80 percent of the North American games market, however - but perhaps we'll see that happen again in the not-too-distant future? A true Game Developer or creator doesn't care about money, the true payoff for them is to see their game, that they worked hard on, being released and loved by many people, seeing the hapiness of someone who played their game is priceless. @ThanosReXXX Google Doodles are usually historic events, inventions, famous people's birthdays, independence days etc. They aren't really in the business of advertising other companies. This has nothing to do with Rare. @PorllM I'd say that this is a historic event, it's not so much about advertising but about what Nintendo has meant for the gaming industry. They are one of the MAJOR, if not the only original video game console manufacturing company left, so they would deserve the recognition. And let's not forget that they single-handedly saved the industry after the crash. And Google also did a Doodle when the Coca Cola company was a certain age, so your theory doesn't fly. Tbh, I would rather see people enjoying every new game I developed versus sitting in a mansion bored out of my mind; I wouldn't know what to do with all that money, lol. @LemonSlice Is there a place to locate a higher quality scan? it is a little hard to read. Man the BBC should give those archives a little work so they can be at least 480p, though 720p would be appreciated. Anyway awesome little piece of behind the scenes in Nintendo. @Kmno That would depend on if they shot anything on film (even 16mm looks loads better than video did around that time), which is doubtful. Best we can hope for is a deeper look into their photographic and video archives, which would be awesome enough. @LemonSlice Thanks. It is a little hard on my eye but it is legible. damn, where is the full episode? And who the heck uploads such garbage quality clips these days? C'mon BBC. There is a wealth of information just in the background of that short clip. I had no idea they used a mouse to create levels, I always thought they mapped out the tile sprites on paper and coded it in (at least I think that's how it was done with the original SMB, but that was 5 years earlier). And the girl was using a midi interface with a Macintosh for the music. I was really hoping to see how they created chiptunes. Again I always thought it was direct programming. @ThanosReXXX people think I'm trolling or baiting when I say things on here like, "nowadays Nintendo is simply fighting off irrelevancy". Examples like that are exactly what I'm referring to. They all add up. @gatorboi352 What examples? That sites are reporting on their anniversary or that I mentioned them saving the industry back in the day? @Prizm This is near the transition to Super Famicom and SNES so things have advanced quickly. Even when chip tunes are hand coded, I imagine composers played it on a real instrument of some kind first then transcoded. I'm forgetting which composer revealed this, but one of them stood out by setting up a system that used the same samples as would be in the game. So they could know exactly how it would sound. That was later in game history though. @Prizm I should say I was still taken aback by the nice tool the level designer was using to create the SMB 3 stage. It seemed farther along than I'd imagined, too. Fun little watch, especially since Nintendo is so a closed castle. Never do you see making offs for example, not the way other companies do it anyway. Also, lol at those uniforms! I wonder if that's still the case, or that they are allowed to wear their own clothes nowadays. Imagine Shigeru Miyamoto in a hawai-shirt, John Lasseter style! It's really good how loyal Shigeru Miyamoto is to Nintendo.